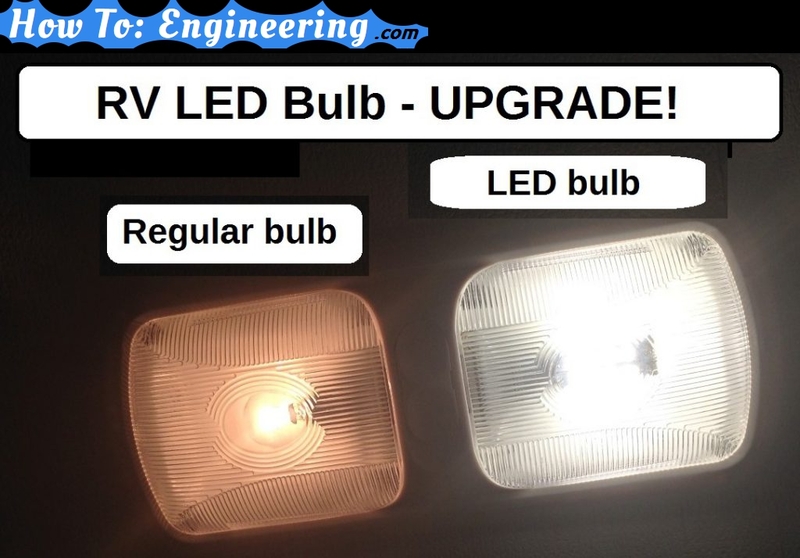 The brightest bulb we ordered is – 1156 LED Bulb – 28 SMD LED – BA15S Retrofit. We used this bulb in the main living area. 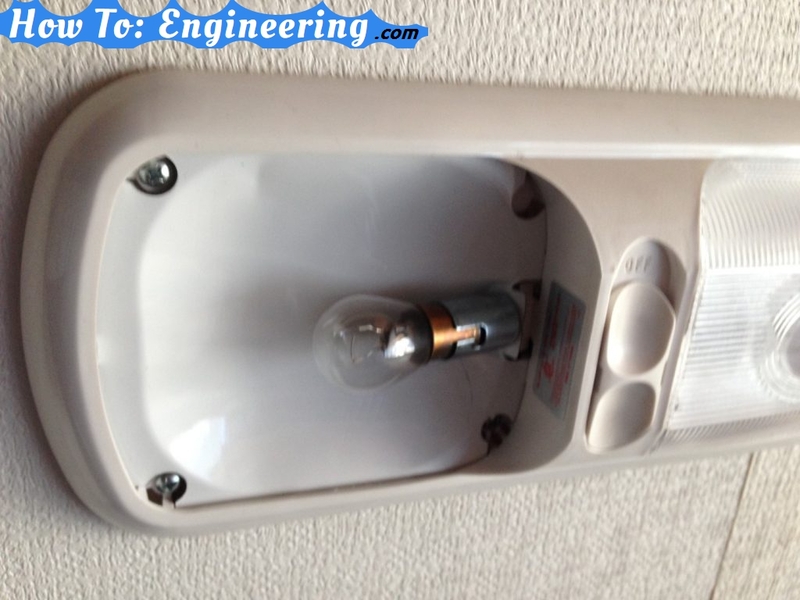 Before buying the bulbs, start by opening the cover to the light fixture. 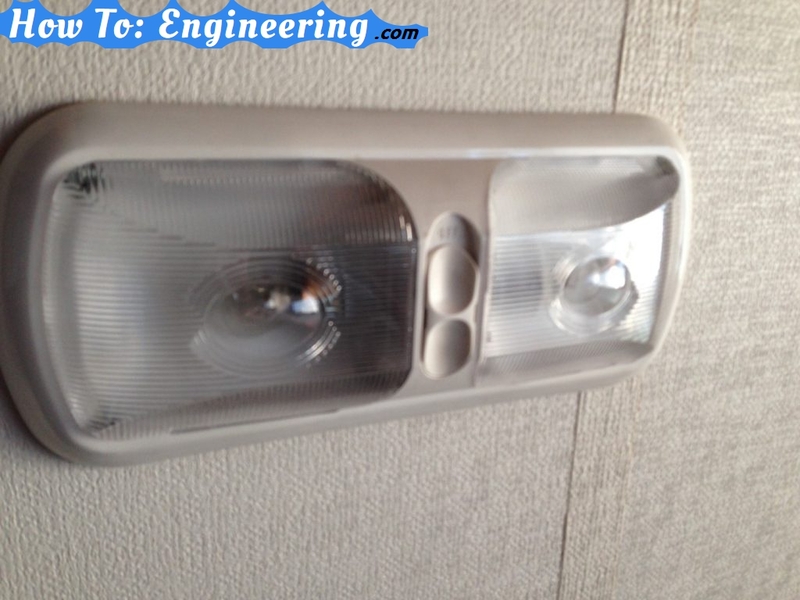 Then remove the bulbs and inspect them for a model number, and check the number of contacts under the bulb (usually 1 metal contact under, but some bulbs are 2 contacts). 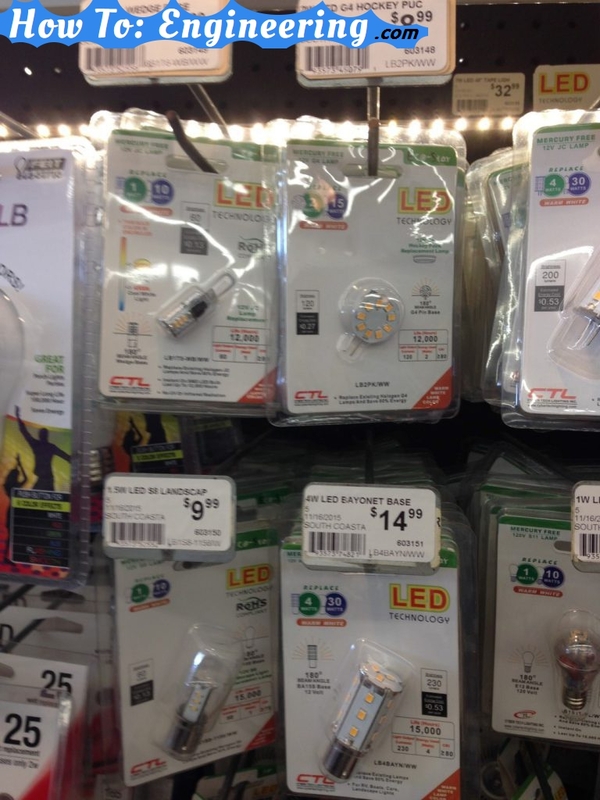 They also sell these LED lights at the local hard ware store… but they are not as bright as the ones we purchased. 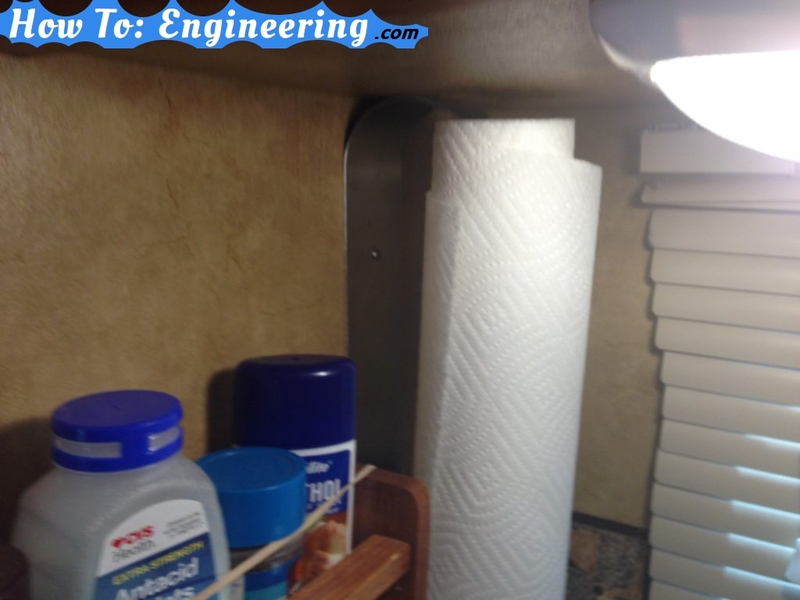 We also changed the kitchen light to 1156 LED Bulb – 18 SMD LED Tower – BA15S Retrofit. 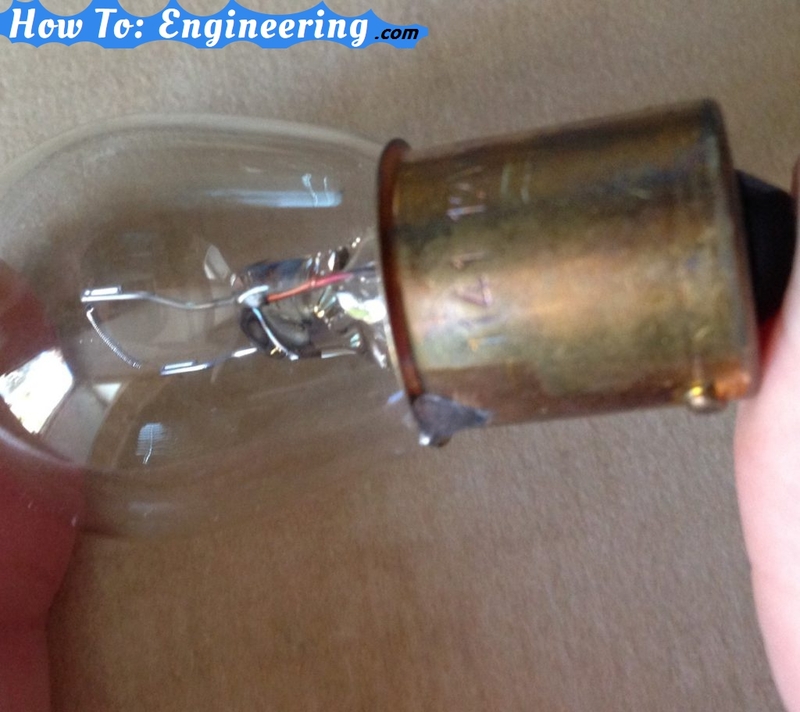 This bulb is also a 360 degree bulb but not as bright, at 185 Lumen. I wish I had taken more pictures, and a few of the bulbs we ordered.